It may have not been a memorable season for Real Madrid from any perspective, but somehow Cristiano Ronaldo still managed to deliver more league goals than anyone else in Europe, including his greatest rival from Barcelona, the Argentine Lionel Messi. 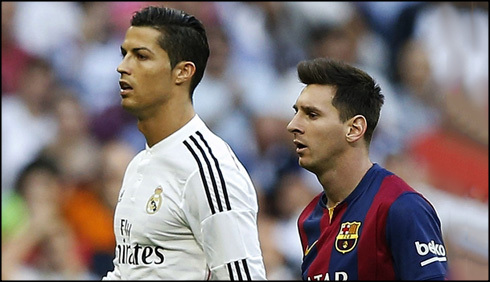 The 2014-15 season was always likely to result in another battle for supremacy between Cristiano Ronaldo and Lionel Messi, and while most of the fans should be able to simply admire the otherworldly abilities of two of the greatest players to ever step foot on a football pitch, there is always the urge to consider who is better than the other. Both players continue to amaze us through their goal-scoring feats (which may never be repeated in our lifetime), with records tumbling on a regular basis from two players at the ultimate peak of their powers. 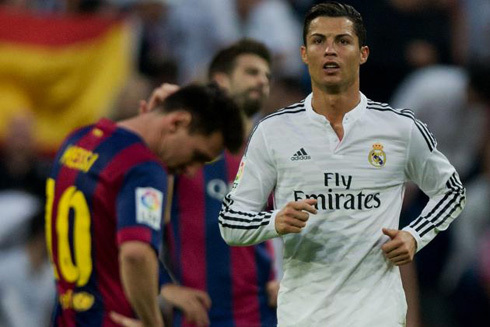 Just like it had happened last season, Ronaldo edged Messi and all the competition he had abroad in this very particular race by finishing this La Liga campaign with a total of 48 goals. Trophies may be the ultimate goal for Ronaldo and Messi, but earning bragging rights by winning the European Golden Shoe is just one of a number of personal accolades that Ronaldo continuously strives for in his efforts to become the very best. It was a tight race between the two mercurial superstars, but the Real Madrid wizard came out on top once again, with an incredible 48-goal haul to become the first player to win the prestigious award four times. Getting off to a good start to the season is always the hope for any professional footballer, particularly for Ronaldo, who wanted to shake off the disappointment of Portugal's premature exit in the group stages of the 2014 FIFA World Cup. 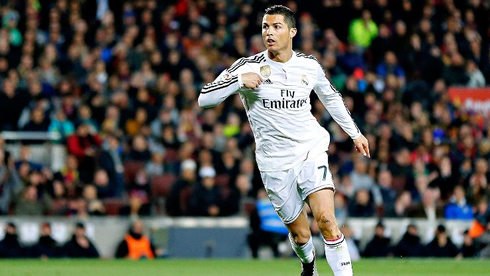 It often takes players a few weeks to get back into the swing of competitive matches following the break between seasons, but Ronaldo hit the ground running immediate with goals after goals. The Portuguese had football fans flurrying for updates on https://twitter.com/bookies to keep tabs on his fantastic start to the season, as he helped the Merengues destroying most of their opponents in their early stages of the season. 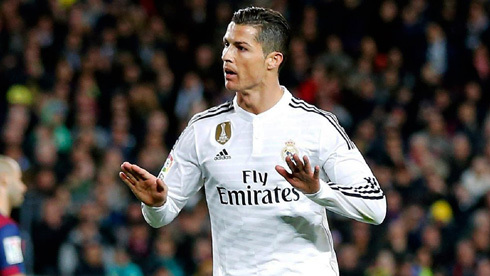 The Real Madrid star managed to score an incredible 20 goals in just 11 La Liga fixtures – a run which included three hat-tricks, one of which was a 4-goal haul against Elche – as he made a strong statement of intent. It was this unstoppable kind of form that resulted in Ronaldo being awarded the best player in the world ahead of Messi, but more importantly, gave him a wonderful early advantage in the race for the European Golden Shoe. Ronaldo have developed an unerring ability to turn one goal into two and three (sometimes even more), but even he surpassed his own expectations and qualities by netting a record of 8 La Liga hat-tricks. Consecutive three-goal hauls against Espanyol and Getafe in the last fixtures of the season may have proved to be in vain, as Real Madrid lost out to Barcelona in the race for the La Liga title, but it meant Ronaldo surged ahead of Messi to win the European Golden Boot after the Argentinian threatened to beat him to the award following a superb second half of the campaign. 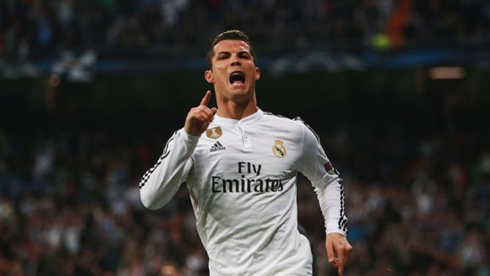 Real Madrid have been accused of playing like individuals instead of as a team, and while this may be true to a certain extent, being the main man at the Bernabéu may have been a strong factor in Ronaldo beating Messi to the European Golden Shoe award. Messi, like Ronaldo, is the number one free-kick and penalty taker for his club, but the difference with Barcelona is that there seems to be no pressure to always pass himm the ball; their style of play incorporates the entire team, with the likes of Neymar and Luis Suarez also getting on the scoresheet on a regular basis. Cristiano Ronaldo next game will be for the Portuguese National Team, on the 13th of June of 2015. You can watch Juventus live stream, Armenia vs Portugal, Spain vs Costa Rica, Wales vs Belgium, Brazil vs Honduras, and Germany vs USA, all matches provided from our football streaming section.